VietNamNet Bridge – Authorities in HCM City have tightened control of harmful food additives for the Tet (Lunar New Year) holiday. 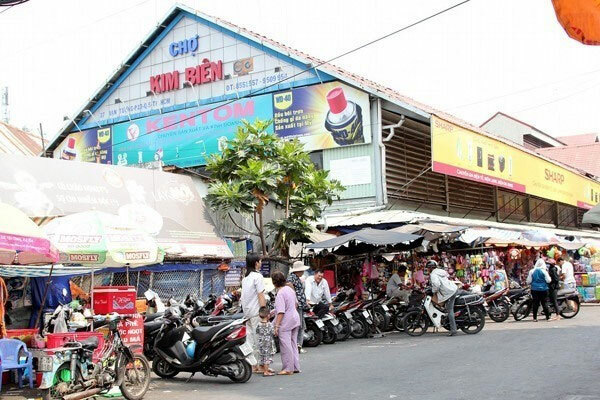 The Kim Bien Market has 534 booths which are operated by 316 households, 16 of which sell food additives. Lao Động (Labour) newspaper, reports that locals’ demand for cakes, jams, and candies has significantly increased for the holiday. However, the plethora of products makes it difficult for them to spot whether a food item is authentic or fake. Binh Tay Market sells most of the cakes, jams and candies for Tet. These food items can be bought by kilo, with each kilo typically selling under VND100,000. Most products sold in Binh Tay Market have clear origins and legal documents with them. In addition to traditional markets, locals can find Tet food items online where cakes, jams, and candies are packed in boxes, varying from five to 20 kilos per box. Fruits like cherries and grapes are sold at a high price, while candied products are much cheaper. Some residents have questioned the differences in price. According to the HCM City Food Management Board, some food manufacturers, to gain more revenue, have used industrial additives in food processing or legally permitted additives but in the wrong concentration. Colourful food products might have a high concentration of Rhodamine B, aspartame and other unhealthy ingredients that can cause sickness, the board said. The HCM City Food Management Board has increased the number of food inspections in some popular markets such as Kim Bien and Binh Tay to ensure safe food supply. Do Xuan Truong, deputy head of the Kim Bien Market Management Board, said the market has 534 booths which are operated by 316 households, 16 of which sell food additives. Though all households have official business licenses and have taken food safety training courses, the large number of additives sold makes it difficult for authorities to control. Locals should be careful with colourful food items as they may contain unhealthy food additives, authorities said. “Locals should buy products with clear origins and take a look at the ingredient list and expiry date, among other information on each product,” Pham Khanh Phong Lan, head of the HCM City Food Management Board, said.